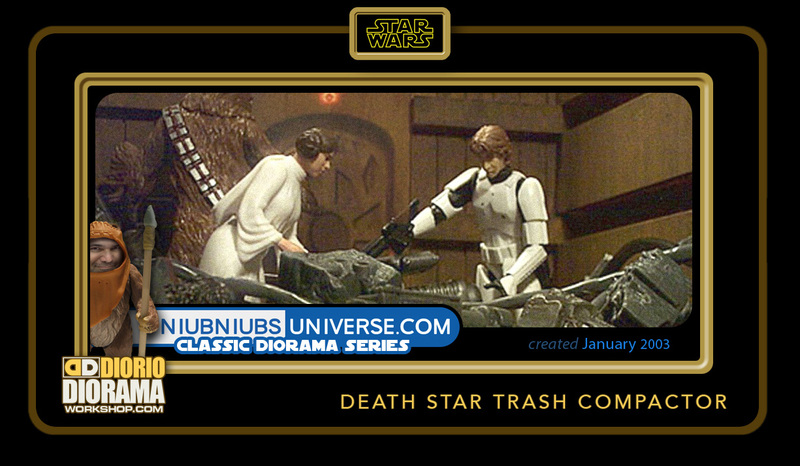 The main memory I have of this scene is just how wonderful it looks for such a simplistic box. 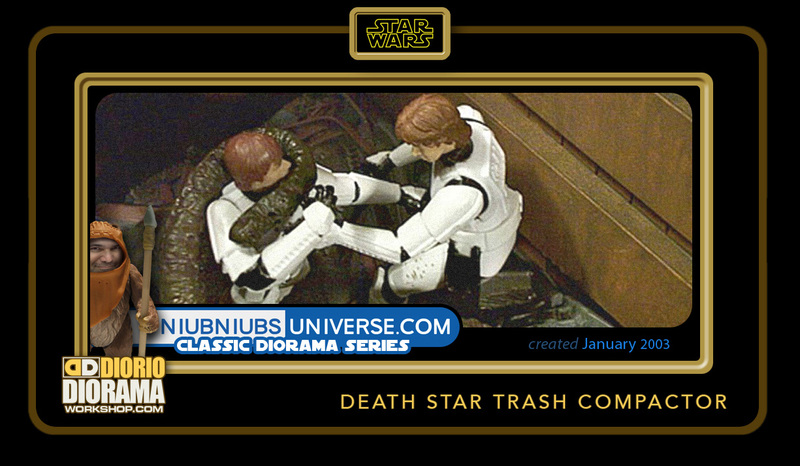 Just 2 layers of foamcore and some brown paint. 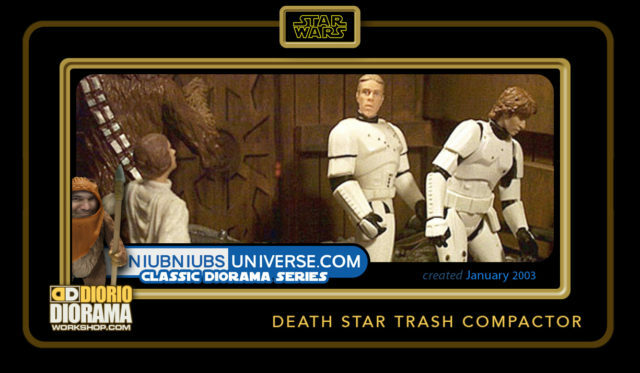 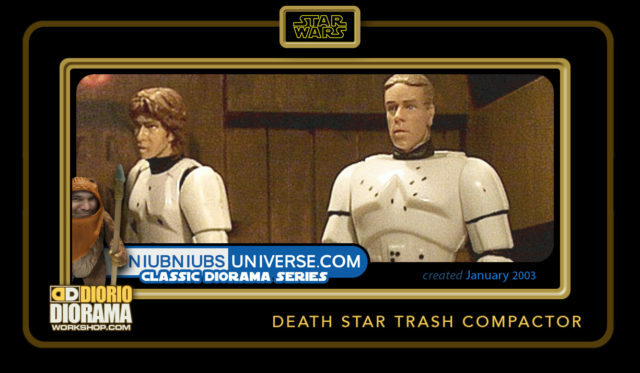 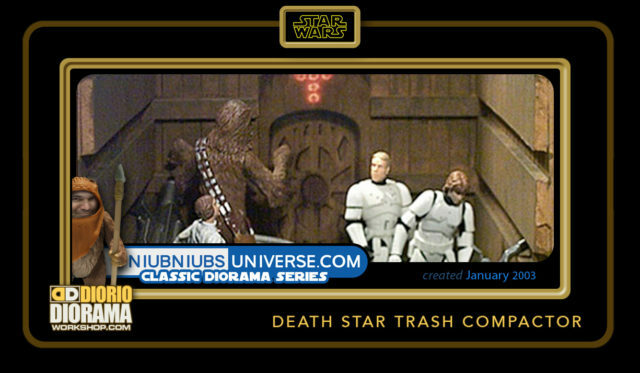 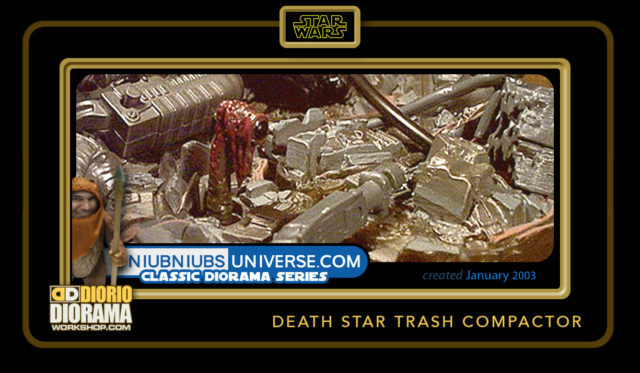 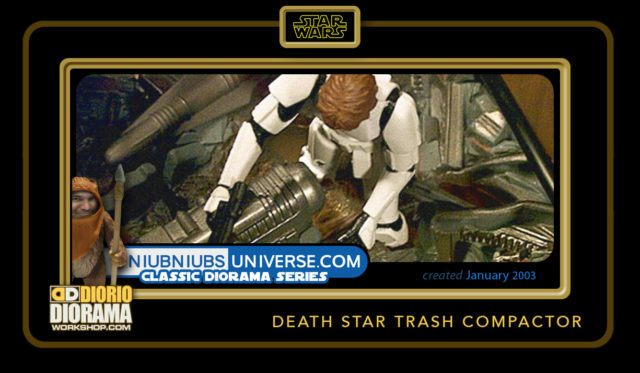 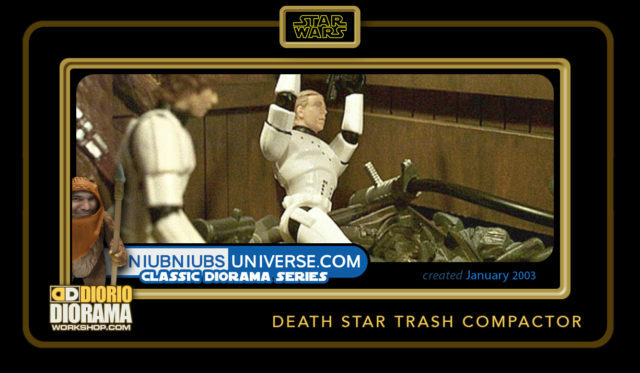 Put your Hasbro trash Compactor deluxe figures or any of our 4 heroes and lots of plastic garbage 🙂 I will be creating some NEW making of content for this and all Death Star rooms during the course of summer 2018.